Insuring Inventory-Why do small companies go without it? When a new specialty food or specialty beverage entrepreneur calls about insurance the conversation is usually about liability insurance because a certificate of liability insurance is the priority. Seems like insuring inventory and other property is not a consideration. Budget is a concern for sure. Amount to insure is a factor. Location of the property may be problematic. Seems like co-packers, commercial kitchens, homeowners insurance and self insurance are the answer for many. I wish they were all viable options but unfortunately the opposite is most likely the truth. 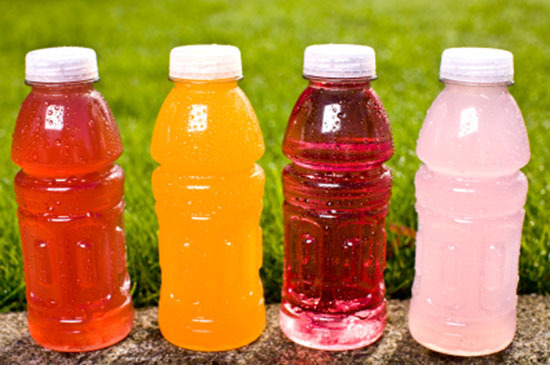 It is very common for new or newer food and beverage manufacturers to rely on co-packers. Therefore, the contracts signed with these parties become very important. Problem is the contracts, if you have one, are often silent on the matter of property insurance. Almost ever time I ask about property insurance there is silence on the phone or “I’m not sure about that” in an email. This is a bad sign for property coverage because insurable interest or legal responsibility is vital in a property claim. More on that in a minute. Because third parties are so important to a small business lets put this in perspective. If a co-packer goes up in flames, literally, how much does your business have at risk? If you store inventory in a commercial kitchen do you really think they are insuring inventory for you? Finally, is it really that simple just to write a check and replace it all? If you owned a commercial kitchen or where a co-packer, would you insure everyone’s property AND your own? From your current perspective you want to answer yes. However, put yourself in the shoes of a business with many clients. The basis of the coverage issue starts with insurable interest. Because it is so important lets talk about what establishes insurable interest. To have insurable interest there has to be an element of financial loss. Financial loss due to damage to property and commonly tied to ownership. Therefore, owning property is fundamental to property insurance. The third parties we discussed most likely will not own your property. If they do, they may not own it for the entire time they are in control of the property. So, what about non owned property? Insuring non owned property can occur when required by contract or it can be done voluntarily. When insured voluntarily it must be insured as “property of others”. Some insurance policies insure property of others automatically, others require a separate limit of insurance. In my experience co-packers and commercial kitchens have only vague information about insuring non owned property. Finally we come do legal liability. General liability policies contain an exclusion for property damage in the care, custody and control of an insured. A co-packer must have bailee coverage to get around this exclusion. Since this may not be a common addition to an insurance program you will find this gets a similar response to insuring “property of others” noted above. Homeowners Insurance must work, right? Homeowners insurance has a limit for business property. Limits exist for property on your home premise and off. Sole proprietors have the best chance for coverage. Corporate entities are not insureds on homeowners policies so property owned by an LLC may be excluded. See our blog entry on homeowners insurance. We Protect You for the World’s Enjoyment.